Why Did Liberal African-Americans in Rhode Island Help Pass a Voter ID Law? 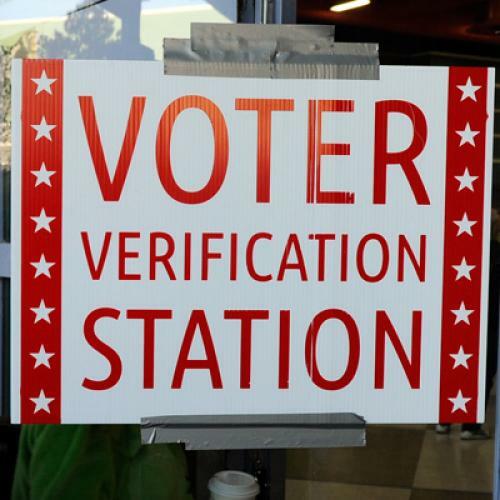 There’s a reason voter ID supporters have turned Rhode Island into a talking point: Of the eight states to pass photo ID laws in 2011, only Rhode Island had a fully Democratic legislature and a liberal governor. What’s more, black and Latino lawmakers were among the most vocal supporters of the July bill. Since then, Republicans have been happily invoking the law to rebut liberal accusations that voter ID laws are reviving Jim Crow-era tactics to disenfranchise minorities. If voter fraud is indeed taking place in Rhode Island, it would lend some credence to GOP talking points. But does the Rhode Island law actually represent good faith electoral reform? Whatever truth there is to these accusations, it’s difficult to ignore the pattern: The perpetrators are all Hispanic and the accusers are mostly not. This underlines what is most likely at play in Rhode Island— anxiety over the state’s changing demographics. Since 2000, the state’s white population has declined by 55,000, while its Hispanic population has increased by 45,000, or nearly 50 percent. The immigration boom, coupled with a 10.8 percent unemployment rate (the third-worst in the country), has contributed to the open hostility toward Hispanics. Voter ID proponents subtly capitalized on these fears. The bill’s main House sponsor, conservative Democrat Jon Brien, has “anti-immigrant credentials like no other,” says Latino activist Pablo Rodriguez. Brien has argued that illegal immigrants are usurping government resources, taking American jobs, and now, voting. Such anxiety, if not outright animosity, seems to have infiltrated traditionally liberal, African American ranks. Luis Aponte, a City Council member of Puerto Rican descent, told me that in the past decade, an “us versus them” mentality has proliferated between blacks and Hispanics. “Neighborhoods in the South Side [of Providence], in the eighties and nineties, [were] exclusively represented by African American officials.” Now, most of those seats are occupied by Hispanics. Rodriguez, the Latino activist, argues that the support for voter ID is purely partisan. “You have African Americans that have been here forever,” he says; they want to build a coalition with Latinos, but Latinos—who now outnumber them—aren’t interested. Out of desperation, Rodriguez believes, once-dominant blacks and ethnic whites are hoping voter ID bills will suppress Latino turnout. Whether minority legislators voted for voter ID in good faith, or to disenfranchise ethnic rivals, the law effectively contributes to the state’s increasingly conservative slant. More important, Rhode Island’s poor, elderly, and minority citizens risk losing their vote when the law takes effect in 2014. And while Rhode Island’s law is actually more lenient than those passed in other states, and was not part of the centralized Republican push to move such bills through state legislatures, it may have more staying power. Citing the 1965 Voting Rights Act, the Department of Justice struck down South Carolina’s voter ID law in December; the DOJ won’t be able to take such a tack with Rhode Island, a northern state that does not fall under the Act’s protections.